The Leicester midfielder moved from Carrow Road in a £20million move this summer, with add-ons for making an international breakthrough. And the 21-year-old has taken just eight Premier League appearances to earn a call-up to Gareth Southgate’s squad. Norwich will pocket around £250,000 should Maddison make his Three Lions debut in the Uefa Nations League clash in Croatia. Southgate called up rookies Maddison, Jadon Sancho, Mason Mount and Lewis Dunk and insisted they are ready to play a part and not to make up the numbers. Maddison’s three goals for Leicester put him in Southgate’s plans following a Dele Alli’s injury. Meanwhile, Danny Rose and Alex McCarthy have withdrawn from the England squad with injuries. 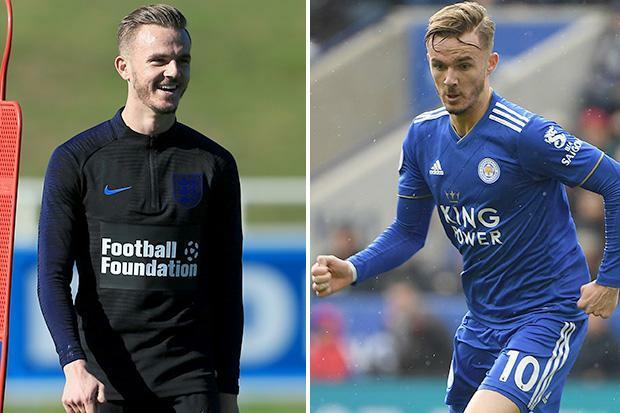 The pair will now miss both matches against Croatia and Spain – with Maddison's Leicester pal Ben Chilwell already called upon to provide back-up. The Foxes full-back replaced the injured Luke Shaw in the squad earlier this week. England travel to Croatia tomorrow for a behind-closed-doors clash at the Stadion HNK Rikeja. PREVIOUS POST Previous post: Medical marijuana in the UK – is it legal, what conditions can it help treat and how much does Sativex cost?